Next I moved on to the tail cowl. It has to house the battery, which is large due to keeping the electric start. For this I chose to make a wire form buck. Not a great pic of t, but you get the idea. 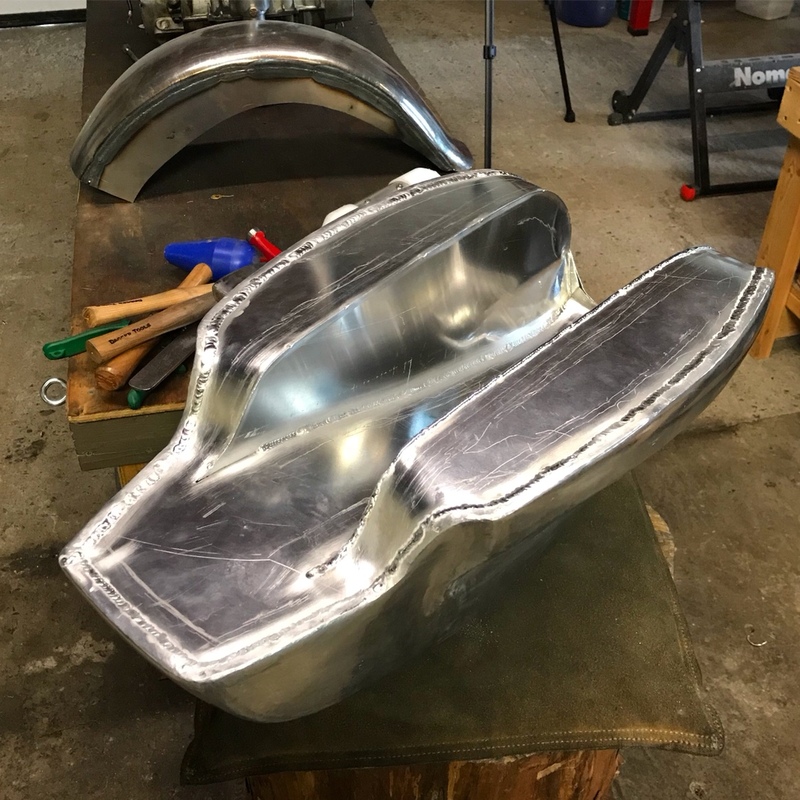 Next more aluminum was shaped. 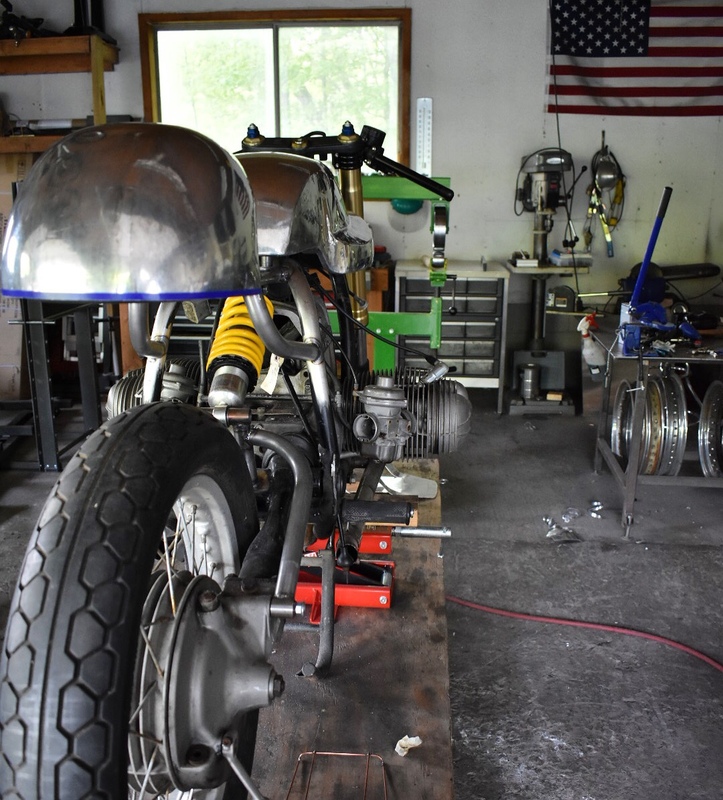 After the cowl pieces were welded a flange was turned to add strength, a seat pan was bent and everything welded up. 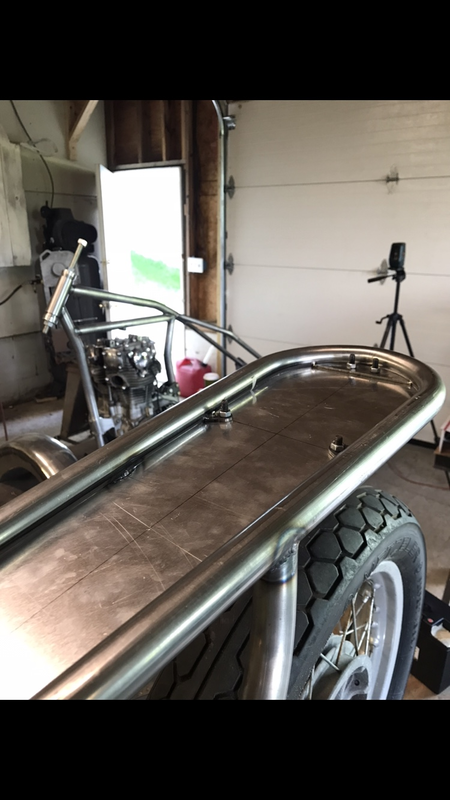 The tank mounts, and tunnel were finished up and everything final welded. Bro I am right there w you. Sure I enjoy going for a ride. However, I leap out of bed in the mornings if there’s work to be done. I am in awe of the work you and some others are doing. Sometimes I’m surprised you all allow me to be here at all. Thanks man, there are some very talented guys on here. I’m just a hack that likes working metal. Today I’m working on the battery tray. Made a quick dimple die on the late to dress things up a little. Are you going to stiffen up the cradle so it's not a rubber cow anymore? Curious if that will get even worse (or better) now that it's a mono shock. Considering where your top mount is, I don't have as high of hopes.